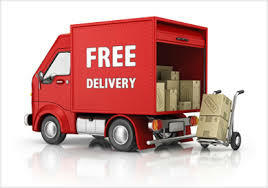 Longtime businessmen know that deliveries are essential part of online business; delivery time and costs can have significant effect on the customers’ decision to purchase on web stores. A survey conducted by ComScore and UPS shows that there are 9 out of 10 respondents-online shoppers are satisfied with online shopping, particularly with checkout, variety of products, and tracking capability of the web store. On the same survey, it also reveals that 48% of online shoppers are unwilling to wait for more than 5 days of delivery while there is a 23% range who are willing to wait for more than 8 days. Only 45% of the respondents are willing to receive notifications by from seller’s web store. A survey on returns conducted by ComScore show that returns can also have great impact on buying experience of the customers. There are 63% of the respondents who look for the returns policy of the web store before buying. There are 62% range who have returned an item which was bought from online stores. There are 48% respondents who return to an online store or refer friends to an online store if the seller has clear returns policy that can easily be understood. Whether or not products are returned, delivery method, timing, and costs have significant impact on the buying experience of customers. Online retailers should therefore adapt or establish shipping or delivery method that can meet the general satisfaction of the customers. Free Shipping is preferred by most because they feel that they will not be charged excessively for shipping during checkout. This is ideal for online stores with limited number of products where shipping costs are not over 20% of the price of the product. 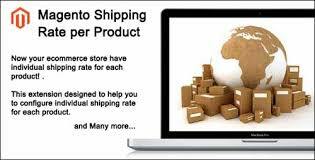 Flat Rate Shipping has similar benefits and advantages with free shipping method. Customers know exactly how much they will be charged. This shipping method is good when all of your items have the same costs of shipping. Variable Rate Shipping method will cost your customers with different fees depending on the product that they will buy. Generally, this shipping method is chosen by retailers because this can provide them control on how much they can charge depending on the consumer’s purchased items. If the retailer sells multiple products with different weight and sizes or when consumers purchase more than one at a time, this shipping method is ideal. $9.99 shipping for purchases of more than $99 and a variable rate for any order below. Free shipping for purchases of more than $99 and a variable rate for any order below. Free shipping for purchases of more than $49.99 and everything $4.99 shipping flat rate. 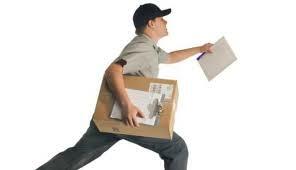 Most of online retailers offer attractive shipping rates as special promotions to increase chances of orders. They motivate consumers to buy more and save on shipping costs. To gain your customers’ trust, explain simply your shipping rates on your online store, including the destinations where you intend to ship. Charging your customers with accurate fee may be risky, where you may win on some orders but lose on other orders. You may estimate by 10% and continue to modify as the need arises. Fontis Australia is ideal for Australian Magento stores where it offers wider extension necessary for Australian online stores, including payment and shipping methods which support the Australian post shipping costs and post eParcel costs. It has the capability for checkout address validation with the use of Australia Post’s API, direct deposit payment scheme, BPAY payment system, export orders to eParcel and “Click and Send,” includes Australian territories and states to the region directory, and postcode Australian states auto-completion for Australian localities and postcodes. Learn more. Another Magento shipping app that we recommend is the Shippo Magento App for simple and affordable shipping solution that you can offer to your consumers. It has the ability that saves time through its automated shipment methods, gets real-time and discounted rates, and creates shipping labels immediately. Learn more. For best results, you may contact Magento consultants for free conference regarding Magento extensions at 1300 055 867 or send email.